Perhaps the best, quickest and easiest way of buying personalised greetings cards! Moonpig.com allows you to choose from thousands of card designs and alter them to add the personal touch. You can upload photos and fit them into the design or add your own personal message, for example you can have your message hanging on a colourful banner from Big Ben or your photo hanging, gold framed in an art gallery. The home page is split up into 3 sections. The left hand side is purely for navigation. There is a list of all the different categories of cards from anniversaries right down to weddings. Those with sub–categories are indicated with a small arrow. Overall it is very simple to find your way, as well as being neat and tidy. At the head of the page there is obviously the heading and logo, as well as the option to switch between ordering greetings cards or flowers, which is another great feature of the site. There are also options to login and view account details etc. Down the right hand side there is a search bar, accompanied by a column of notices and promotions from Moonpig. The centre of the page, which covers the majority of the screen, is filled with links to the main categories of cards. There are ‘birthdays and general’, ‘Christmas’ and ‘spoof humour’ and more as well as links to upload your photos. It is colourful and attractive, yet a simplistic layout. Once you have chosen the category you are faced with an almost identical interface, however this time, down the left hand side there are options for filtering your category for more accurate results. For example, it asks you the age of the intended recipient of the card and you can choose between the usual age categories. You can also choose on the size of the card you desire (A4, A3 etc.) which is fairly useful as this can have an effect on the cost of the card. There is a drop down box which allows you to choose the relation of the recipient to you so it can filter out the ‘granddad’ cards for example. Also, there is another keyword search box. Once you have defined your search, you are faced with an entirely new interface. It does follow the same simplistic look and colour scheme; however this page is designed to show you the results. There is a slideshow box which allows you to navigate through the suggested cards, as well as a grid view to the right which allows you to select from a group of 9 at a time whichever catch your eye. Underneath the display of cards there is also the price and a button to proceed to the next step once you have chosen your card. After choosing your card, it shows you a list of options specific to that card which can be altered. For example you can change the name or message on the front. There is a useful spellchecker tool to avoid any embarrassing mistakes and a preview button to view a full preview of your card. The last step of personalising your card is to write a message on the inside. You can choose font, colour, font size, positioning and layout which are more than sufficient when writing a message inside a greetings card. Again there is a spellchecker tool. 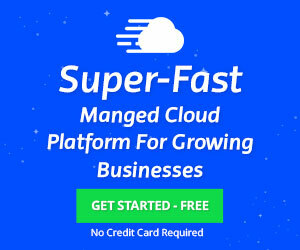 After this you have to follow the usual process of choosing delivery options and payment method. This is simple and easy as on most sites these days. There is also the option to add flowers or more cards to your order. 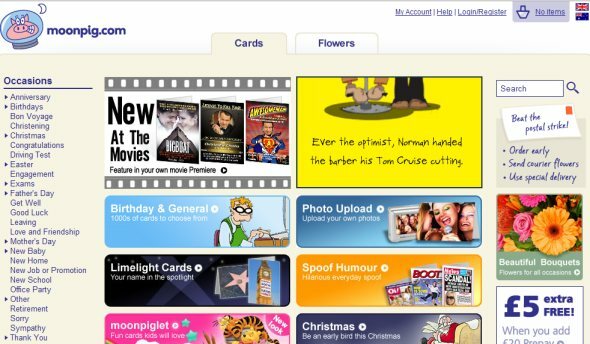 I found the site/service very simple to navigate and use, it had seemingly infinite options to choose from and I believe it is the best method of buying greetings cards online, however if you’d prefer to print them out for yourself, then be sure to take a look at Hallmark’s personalised greetings card design software. 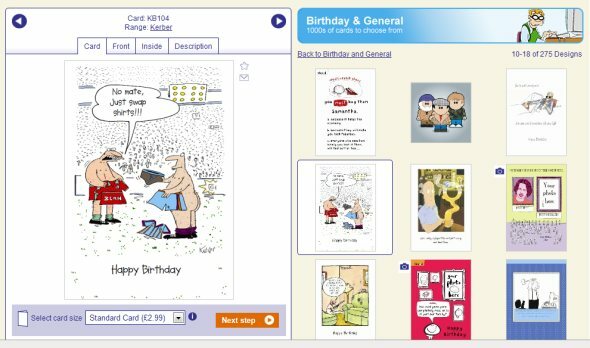 Overall, Moonpig cards are very good value for money, with standard cards being £2.99 which is similar to most high street retail stores such as Clintons or WHSmiths. The personalisation of the cards is unrivalled and the end product is to a high professional standard. I would definitely recommend the Moonpig!